This high quality deck of cards is an excellent supplement for a game of Night Witches. Each deck includes a set of quick advancement cards with fictional prompts that make running a one-shot even easier. In addition there are portrait cards and medal cards, both of which can be used as visual props in play. Each of these cards includes a custom black and white illustration of an airwoman created by Claudia Cangini. Use them to represent your character or one of the non-player characters in the Regiment! Each of these cards displays an actual Soviet medal, complete with citation script on the back. Hand them out to players as they earn the awards, reading the citation aloud! These cards are designed to make running a one-shot game easier to set up by quickly advancing play past the starting duty stations. Hand out the cards randomly and see which characters earn medals, promotions, new abilities. A handy reference for the text of Articles 58 and 133, so that you'll know when you're about to earn the attention of the Regimental Politruk! PLEASE NOTE: The deck currently comes without a box, banded in a plastic sleeve for delivery. 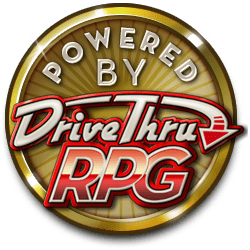 DriveThru offers a clear plastic deck box as an additional option for $0.99, so be sure to add that to your order or plan to pick one up at your friendly local game store.